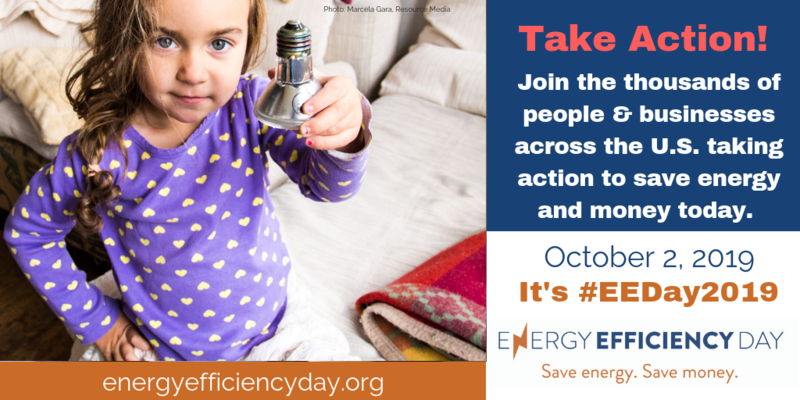 Take action to support energy efficiency by spreading the word. Download by right-clicking an image below to save it onto your desktop. You can also simply drag it onto your desktop. 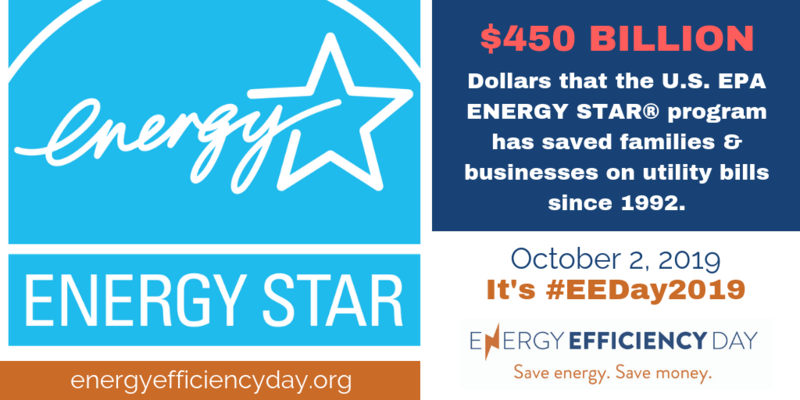 Copy and paste one of the sample messages below into your status update—or create your own message that includes the #EEDay2019 hashtag. 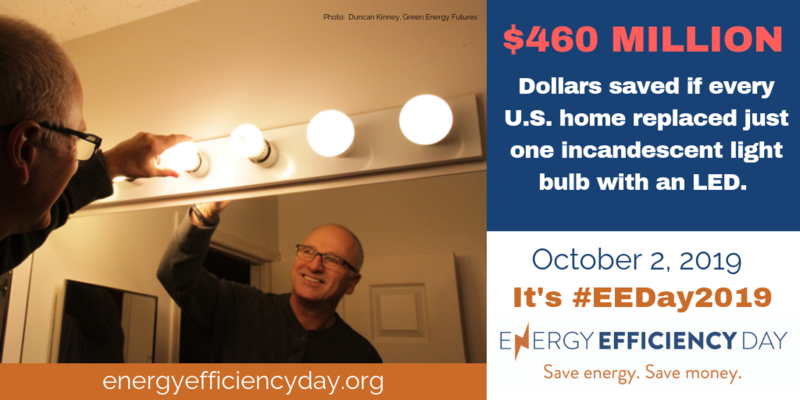 Upload the #EEDay2019 image saved onto your desktop to accompany your status update. 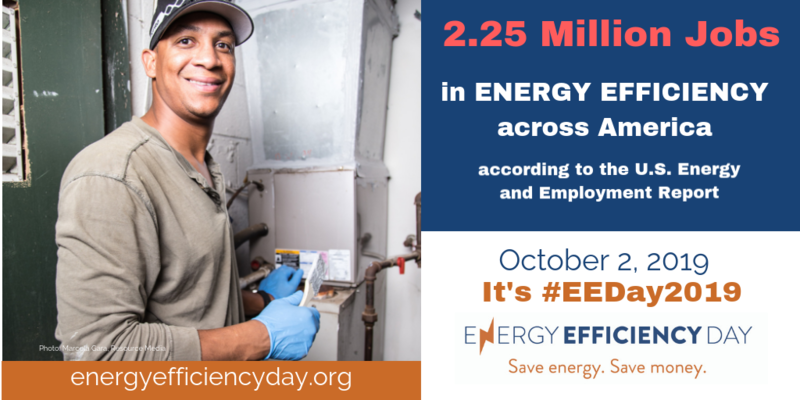 Post your status update and encourage others to join the #EEDay2019 conversation. 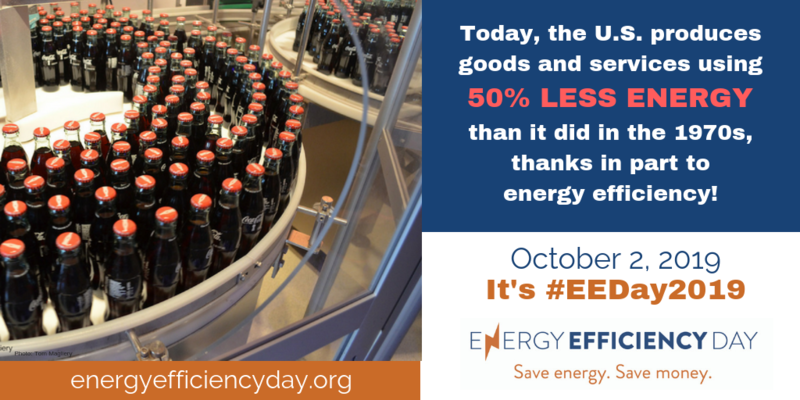 Learn how you can celebrate #EEDay2019!